The Book Depository just sent me a newsletter reviewing the buying trends of 2011. 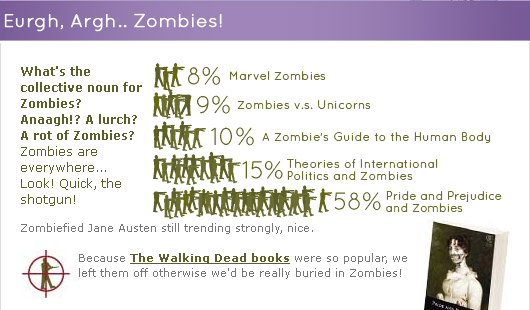 In the list was this fun infographic on the sale of zombie related books and graphic novels. It reminds me that a lone zombie is slightly pathetic, but a horde (the proper collective noun) is terrifying!